The world is entering an "age of austerity" that could take about $7 trillion US out of global output by 2015 and restrain economic growth, Bank of Canada governor Mark Carney says. 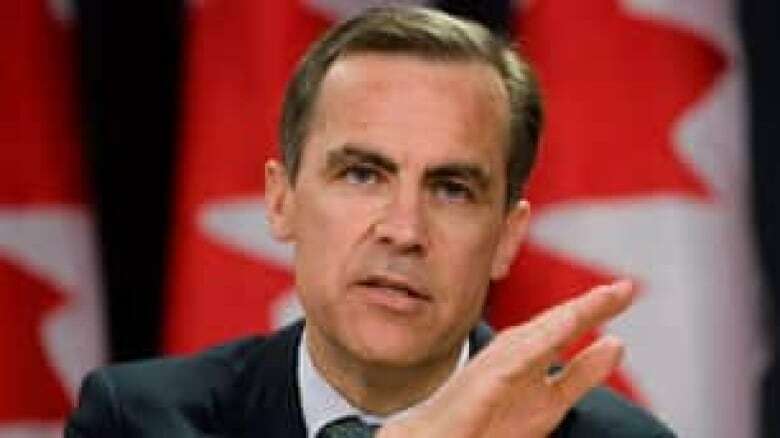 The world is entering an "age of austerity" that could take about $7 trillion US out of global output by 2015 and restrain economic growth, Bank of Canada governor Mark Carney said Wednesday. In a noon-hour speech to a business audience in Charlottetown, Carney said Canada will lead the Group of Seven industrialized economies over the next two years, but that may not be saying much. He said Canada's economy has recovered nicely from recession, but growth is slowing, and the global outlook is getting worse. Carney left open how the Bank of Canada will approach future monetary policy after raising interest rates by a quarter point on June 1. "Given the ongoing uncertainty surrounding the outlook, any further reduction of monetary stimulus would have to be weighed carefully against domestic and global developments," he said. Carney said it will take bold action among policy makers to reconfigure how global economies and financial markets function, and bold action by business leaders to survive in the new reality. He warned against governments taking shortcuts, such as allowing inflation to rise in order to reduce the real cost of paying off their national debts.